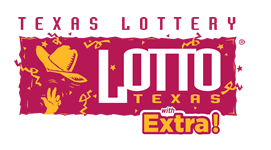 Lotto Texas is Texas Lottery’s original jackpot game. The rules are simple: Just pick 6 numbers from 54, and match as many as you can. Match all 6 numbers and win the jackpot, which typically reaches multi-million dollar levels. You can also play Lotto Texas with Extra! – a game mode that lets you increase your potential non-jackpot winnings. Lotto Texas drawings are held every Wednesday and Saturday at 10:12 PM Central Time. Ticket sales are not available during draw break, between 10:02 to 10:15 PM Central Time. Numbers Matched Base Prize Prize with Extra!